This fabulous oil on canvas portrait of Stewart Newcombe was painted in 1938 by John Mansfield Crealock and is held by the Tank Museum at Bovington, Wareham. It was gifted to the museum in 1988 by Dr G. E. Moloney of the Radcliffe Infirmary where Newcombe was treated prior to his death. Unfortunately, it is not on public display and has languished unseen for many years in the Museum's reserve collection until an image of the painting was recently posted on the BBC's Your Paintings website. Viewing can be arranged by prior application to the curator (see contact details below). The museum is well worth a visit as it holds the finest and most historically significant collection of tanks in the world. From the first tank, Little Willie, to the modern Challenger 2, the Tank Museum’s definitive collection comprises over 250 vehicles and thousands of supporting artefacts from across the globe. The portrait of Colonel Newcombe is beautifully executed and Crealock has captured the stature of the sitter at the age of sixty years old as he actively worked on the Palestine issue, tackling his own government as it moved towards partition in the region. His hair is grey but there is still a hint of red to his familiar moustache, as well as a touch of humour shown in his eyes. The artist John Mansfield Crealock was born in Manchester, went to the Royal Military College at Sandhurst and served in the Sherwood Foresters (Nottinghamshire and Derbyshire Regiment) in the Boer War. 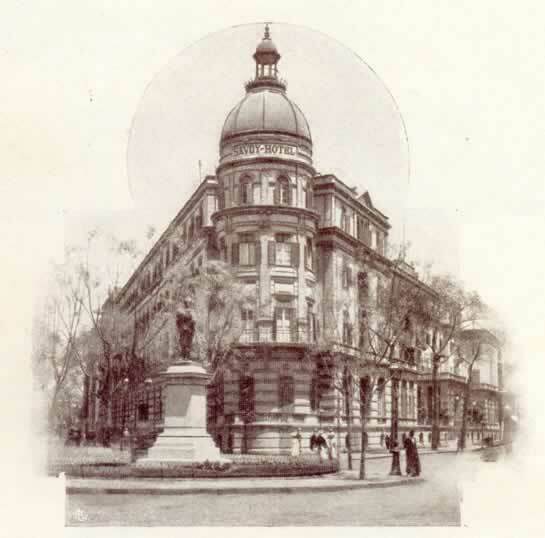 He attained the rank of Captain before resigning at the age of 26 in May 1897 to become an artist. He later studied at the Académie Julian in Paris in 1901-04 and exhibited at the Royal Academy, Goupil Gallery, and New English Arts Club. 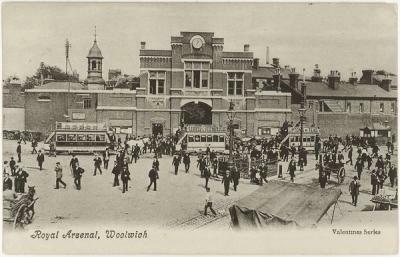 He was living at 24 Beaufort Mansions, Beaufort Street, Chelsea, prior to rejoining his old regiment the Foresters for service in the First World War. 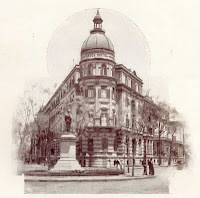 He inherited several journals and sketchbooks from his father and his uncle, both soldier artists, which he donated to their regimental museums. 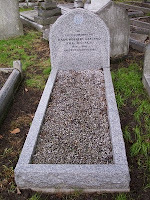 He died in Hove in 1959, 'fortified by the rites of the Holy Church'. 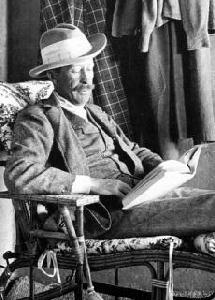 His father was John North Crealock, Military Assistant to Lord Chelmsford and a war artist at the time of the Battle of Isandlwana ( 22 January 1879), the first major encounter between the British Empire and the Kingdom of Zululand in the Anglo-Zulu War. He is celebrated for his pen-and-ink drawings that were scribbled hastily into a sketch-book propped on the pommel of his saddle. His images depicting the carnage at Isandlwana were the first to reach London and the pages of the daily press, shocking an incredulous Victorian public. Many of these drawings appeared in the Illustrated London News of the time. He later appeared at the Public Enquiry on Isandhlwana. John North's elder brother, Henry Hope Crealock, was also an artist, and had, for a spell, left the army in an abortive and futile effort to earn a living as a painter in Rome. A visit to the Tank Museum can be easily combined with one to the home of T.E. Lawrence at Clouds Hill. It was on the road between Bovington and Clouds Hill that Lawrence was fatally injured on 13th May 1935 in a motorcycle accident. He died in the Bovington camp hospital six days later. 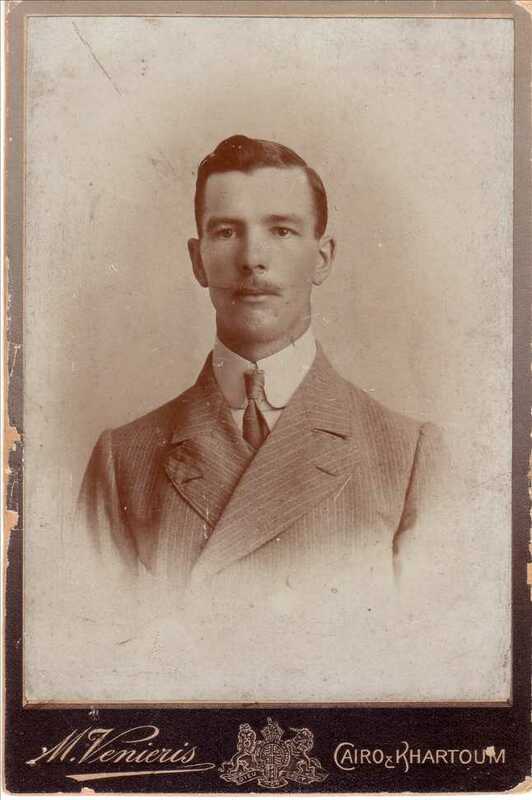 Stewart Newcombe attended the inquest into Lawrence's death at the camp and was a pall bearer at the funeral. Christmas closure dates: The Tank Museum will be closed on Christmas Eve, Christmas Day, Boxing Day and New Years Day. 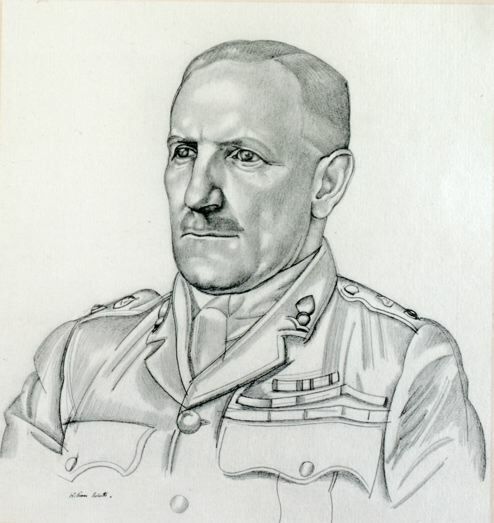 On this day, Colonel Newcombe and a small detachment of camel-mounted raiders were captured during a daring operation behind enemy lines just two days after a successful cavalry charge by 800 men of the 4th Australian Light Horse Brigade had overrun the unwired Turkish trenches of Beersheba in what was the opening move of the 3rd Battle of Gaza. Behind this simple and enigmatic gravestone inscription lies the compelling and fascinating story of Major Herbert Garland, R.E., O.B.E., Military Cross, F.C.S., a gifted chemist and metallurgist who trained the Sherifian Arab Army in the use of explosives and demolitions during the Arab Revolt. He had been a captain in the British Army in Cairo, having seen service in Sudan, and before the war he worked in Cairo as superintendant of a government explosives laboratory. 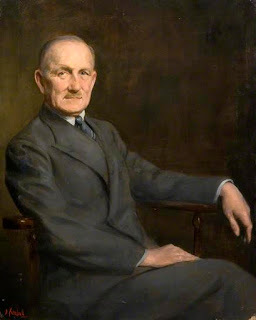 Fascinated by the metallurgy of ancient artefacts, he was elected a Fellow of the Chemical Society (now the Royal Society of Chemistry) on 15 May 1913 and was later awarded a £10 grant to research ancient Egyptian alloys. During the first year of the war he invented a grenade and 174,000 were sent for use in the Dardanelles and Gallipoli campaigns. Photos in the Imperial War Museum (IWM) in London show ‘Garland and Natives experimenting on Garland grenades.’ These short-barreled floor-mounted howitzers were approximately three feet in length and set at an appropriate angle to fire the missile at the enemy. Experiments with this type of weapon were conducted by Garland and native handlers over the safety of the Nile, the resulting splash giving a fairly accurate estimate of distance. 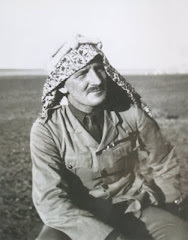 At the beginning of his service in the Hejaz he was promoted from Sergeant to Major (known as ‘Bimbashi’ in the Egyptian Army) and worked alongside Stewart Newcombe and T.E. 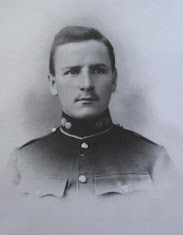 Lawrence until he retired from the field of operations through illness and exhaustion. His arrival in the Hejaz can be said to be when the active war against the Ottomans in the region truly started. 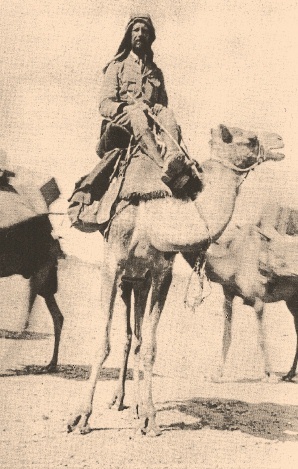 It was as an explosives expert that Garland had been sent out to the unforgiving environment of the Hejaz to train irregular troops, preceding both Newcombe and Lawrence in attacking the Hejaz Railway, and it was in this role that Lawrence was to write that Garland's "knowledge of Arabic" enabled him "to teach the art of demolition to unlettered Bedouin in a quick and ready way. His pupils admired a man who was never at a loss", adding: "Incidentally, he taught me how to be familiar with high explosive.” In fact, Garland was to be the first allied rail-breaker to derail a moving troop-train in February 1917 near Toweira Station using a contact detonating device of his own design soon after he and Newcombe had commenced long-range attacks to the interior accompanied by Bedouin forces. 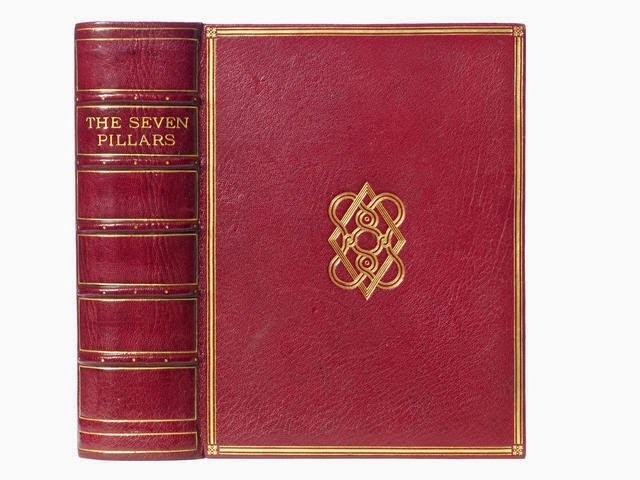 Garland’s observations on Bedu culture during his time in the region provide an interesting alternative to Lawrence’s narrative in Seven Pillars of Wisdom. 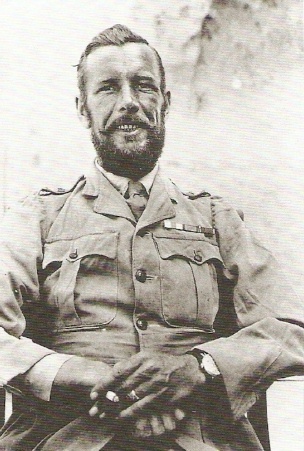 His comments on slavery, medical matters, camels, Arab clothing, the conduct and behaviour of the Bedu, as well as his own frustrations regarding the conduct and progress of the campaign against the Ottoman Army, contain many light-hearted but perceptive observations designed to inform and entertain a post-war audience. 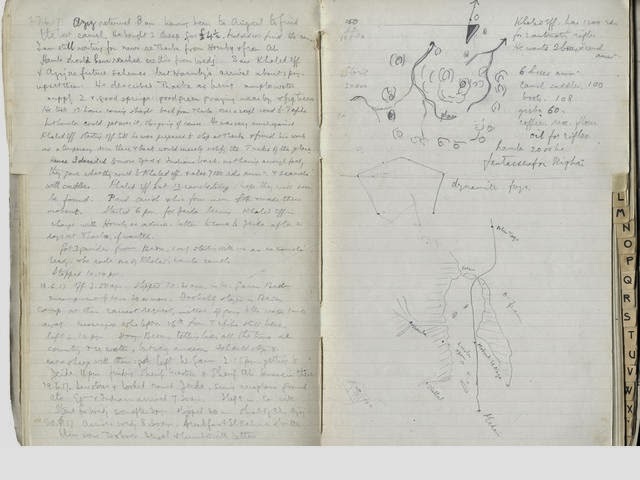 He wrote up his observations and later lectured on the desert campaign and it is these lecture notes that now form the bulk of the Garland Papers held at the IMW, a gift of his last surviving daughter Mena who aged 92 lives in the USA. 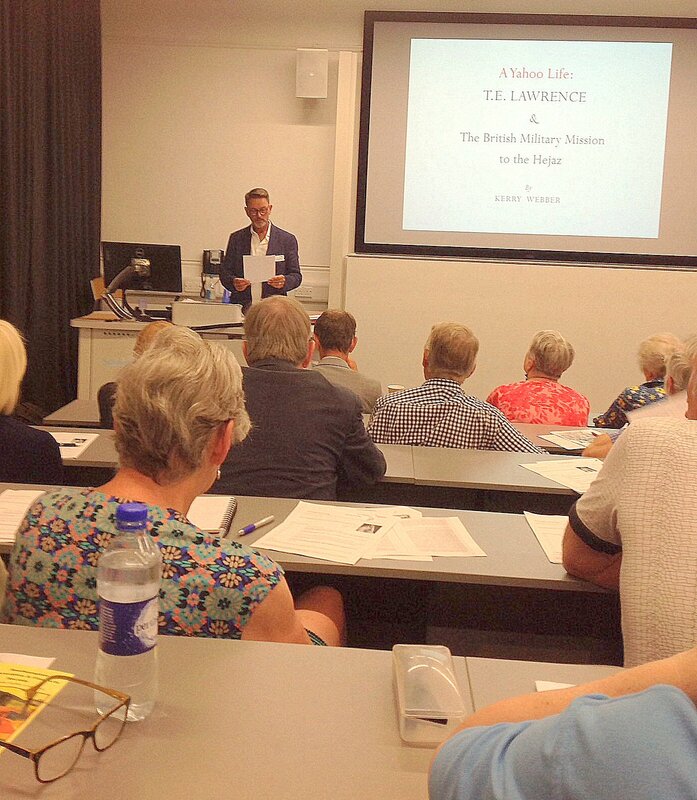 The notes are full of interest for those interested in the minutiae of the Arab campaign. He also described life in camp at Wejh, the coastal town that had been occupied by Sherifian troops since January 1917. Wejh was strategically and psychologically significant to the future of the campaign, allowing the Arabs, with their British and French allies, to attack almost at will along the line and able to keep the Ottoman troops pinned down in their garrisons, “strung like beads on the long thread of the Hejaz Railway.” While Emir Feisal was preoccupied with politics, labouring day and night in his counsel tent, the Bedu entertained themselves with boisterous parades and exhibitions of joy-shooting, often for no reason at all or to accompany victory parades. Inevitably there were accidents. 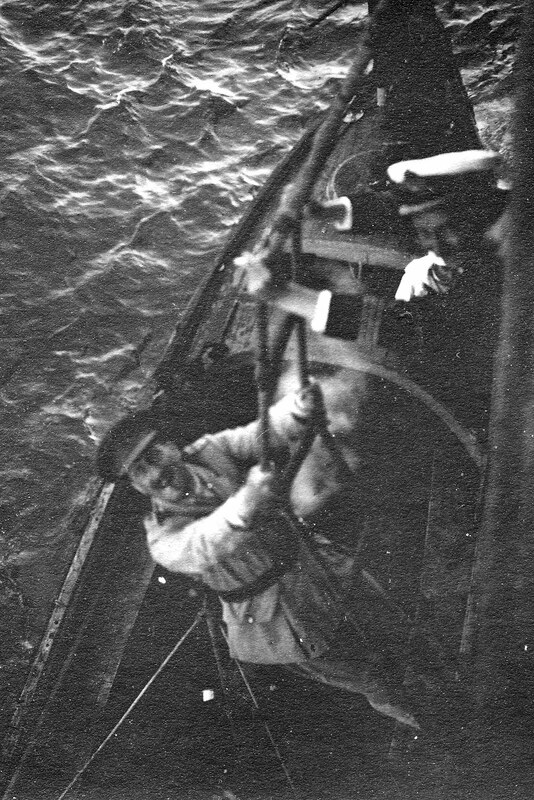 One such incident occurred when a group, playful behind the tents occupied by Newcombe and Lawrence, became a little too inquisitive with a dud bomb from one of the seaplanes, a dangerous relic from when the town was first captured. The ensuing explosion sent limbs scattering among the tents whose canvas sides immediately became crimson stained. Those tents that could be washed were exchanged while the rest were destroyed as unfit habitation. 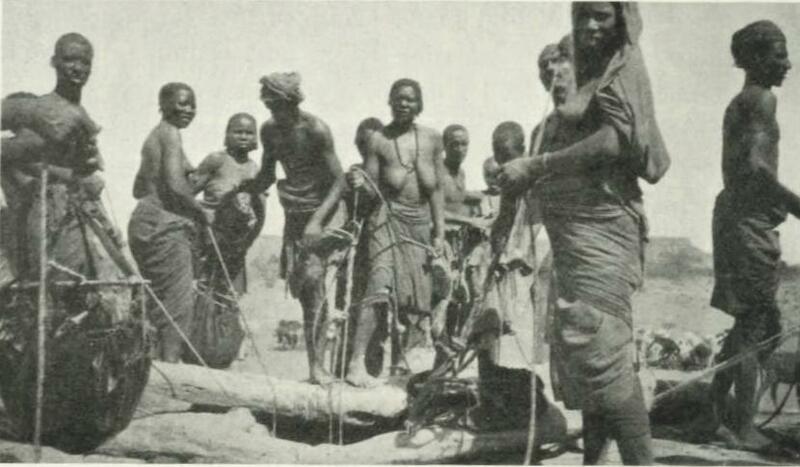 Throughout the camp, spread out like a new town, guests were billeted according to status, rank and tribal association at varying distances away from Feisal’s hearth. One day a guest tent went up in flames and almost roasted its inhabitants alive. The crowd went wild and roared heartily with laughter until the fire extinguished itself and the injured could be attended to. Such were the amusements and diversions in the scattered camp now settled happily in the gulleys and sandy valleys which ran back from the land-locked harbour of Wejh. This low lying valley was edged by a steep coral shelf, below which Feisal had pitched his numerous tents, those for living and receiving visitors, and more for the accommodation of guests, staff and servants. Newcombe and Lawrence had been honoured with a spot on some heights looking down on the plain and where in the evening they benefitted from a refreshing sea breeze. Lawrence also thought he could detect a sea murmur that reminded him of the echo of traffic that can be heard drifting up from a London side-street. Below them were located the Ageyl tribesmen, colourful but fierce warriors who had entered the fight for Wejh half naked so as to not damage their precious clothes. On a more practical level they explained that it was to ensure a clean wound. Before he retired from the field for good, Garland had successfully passed on sufficient knowledge to his Bedu pupils to give them the freedom to carry out demolitions on the line, and especially the line near Medina, without European assistance. For this outstanding work he was duly awarded the Order of the Nile, Egypt's highest honour. 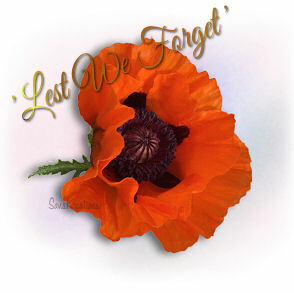 Immediately after the armistice Garland was deemed fit enough to be sent to Medina, the last place to be surrendered by the Ottomans, with responsibility for overseeing the surrender of the town to the allies. The garrison’s commander, the redoubtable and stubborn Fakhri Pasha, refused to acknowledge that his advisor Captain Garland was an “Allied commander”, as stipulated in the negotiated terms of the Armistice signed at Mudros, and therefore ignored the order. Should Fakhri Pasha, the last knight of the last Sultan, a General of a Division and guardian of the Sacred Tomb of the Prophet, give his sword to a mere Captain, especially one that apparently held a political post? He held out too long for the sake of personal honour and was eventually lured to his capture by his own faltering subordinates who immediately contacted Garland to formalise the surrender. Finally in 1919, Garland was appointed Director of the Arab Bureau in Cairo with the task of winding up its affairs long after its more illustrious members had departed. Palestine was now the centre of attention and with Ibn Saud’s Ikhwan warriors threatening the Hejaz from the east, Garland’s task soon became an onerous one. He still had plenty of bite and on 4 June 1919 he fired off a searing report, ‘The Khurma Dispute between King Hussein and Ibn Saud', but you feel he was more at ease in his simultaneous post as Superintendent of the laboratories at the Cairo Citadel Museum. 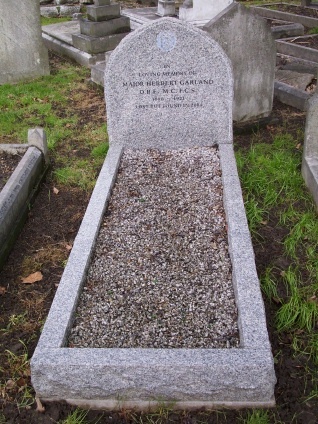 Garland returned to England in March 1921 and died of an aneurism after only six days in the country, leaving scant records of the circumstances of his death or of his last resting place. There the story would have ended but for the determination of a few surviving relatives and friends scattered around the world, utilising the internet and good old-fashioned detective work to unearth the whereabouts of a long-forgotten hero of a long-forgotten desert war, yet one more remarkable personality eclipsed by Lawrence’s legend. 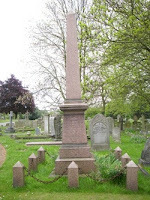 For nearly ninety years Garland had languished in an unmarked grave located near to the eastern wall of the old part of the appropriately named Gravesend Cemetery, 22 miles east of the City of London on the south bank of the Thames estuary. He was 38 when he returned to England from Egypt, seriously ill and with an already weakened heart put under further stain by recurring bouts of dysentery picked up in the desert campaigns. A friend of his daughter Mena found his grave in 2004, a discovery that would eventually unite far-flung family members and friends, and finally bring to public attention this remarkable untold story. My thanks go to Herbert Garland’s grandson, Chris Mitchell, who has actively pursued the remarkable story of his grandfather from his home in New Zealand and sent the results out to the world. He generously paid this tribute to Newcombe in reply to my enquiries: "Stewart Newcombe saw so much more service than Herbert and it is a tribute to his fortitude that he came through relatively intact." I am especially grateful to Mena Garland, Herbert’s daughter whose friend was instrumental in helping to discover a long-lost grave, for donating her father's papers to the Imperial War Museum and allowing researchers access to the thoughts and actions of a forgotten hero whose newly erected headstone conveys the poignant epitaph: “LOST BUT FOUND IN 2004”. 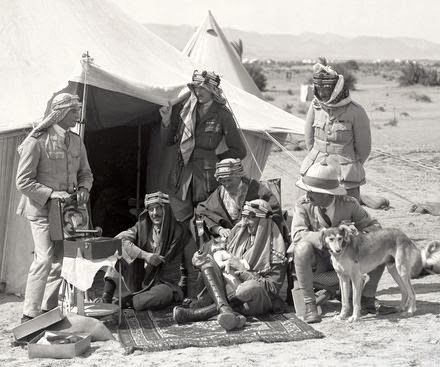 This is the first in a series of occasional portraits of personalities from the desert campaigns of the Arab Revolt of 1916-1918.